These civil rights movies on Netflix feature historical documentaries surrounding the trials of Black and African-American people during the 1960s. Brush up on history, stimulate conversations with your children, or use in homeschooling with Netflix. These movies include everything from TV shows, miniseries, documentaries, and more. These are great selections to add to your Netflix list. Learn about Women in Black History, too! What better way to learn about history than by watching Netflix? Check out these Civil rights documentaries on Netflix, too. 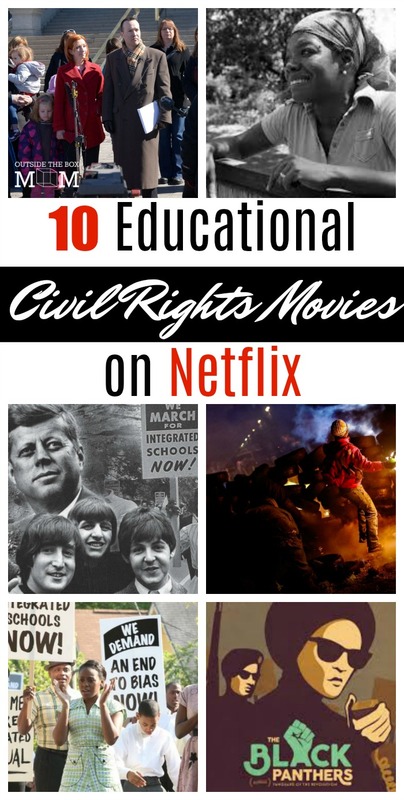 Do you have any favorite civil rights movies on Netflix?